Google services are few and far between on Windows Phone, but third party clients do pop up now and then. Such is the case with the obviously-named 'Client for Google Drive' here, with full file and folder navigation, plus downloading and even limited file synchronisation. Well, that's the theory anyway. In practice, I just got five minutes of trawling dots and no files. Maybe you'll have better luck with a smaller Google Drive? With Client for Google Drive you can significantly free up the memory device, and also be sure that your files will not disappear no matter what happens with your device! 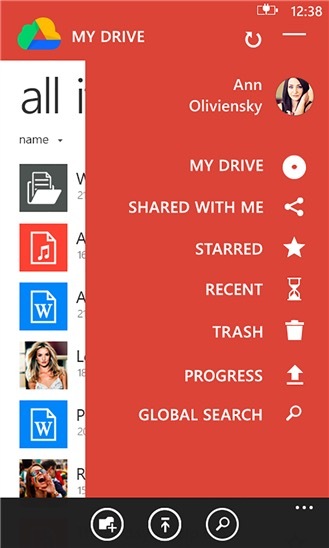 Storing your files on Google Drive, you can easily manage and share them! View files and folders have been uploaded to Google Drive. 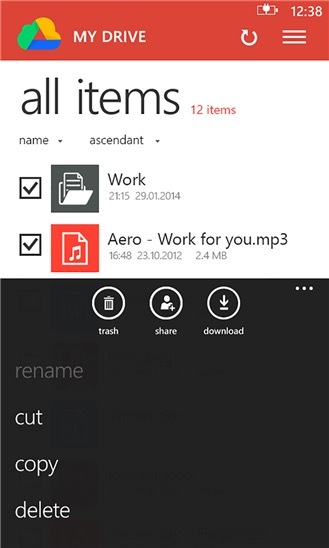 View trash, starred, recent, shared with me files and folders. Full navigation on folders which uploaded to Google Drive, starred, recent, shared with me, in trash. 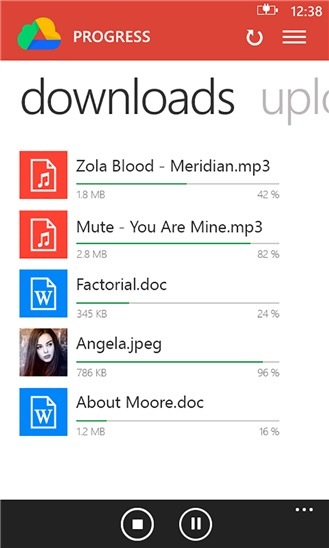 Download the selected / all files from Google Drive. 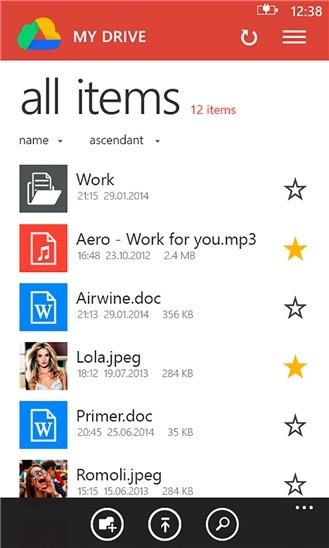 Ability to rename, copy, move, remove, add star for files and folders. Multiple simultaneous downloads might be a boon - and (right) there's a (ahem) reverse hamburger navigation menu. And no, that didn't work for me either! So a dead loss for me, but I do have a decade of files in my 20GB of Google Drive, so maybe I'm unusual. You can grab it for free in the Store here. I'm hoping you'll have more luck - please report back! !